My .NET Comment Was REJECTED (at first) By ICANN, Was Yours? Public comments on the Proposed Renewal of .NET Registry Agreement close 30 May 2017 at 23:59 UTC, which is 7:59pm EDT (US). Here's my comment (pdf), also embedded in full below. All comments "accepted" by ICANN may be viewed here. 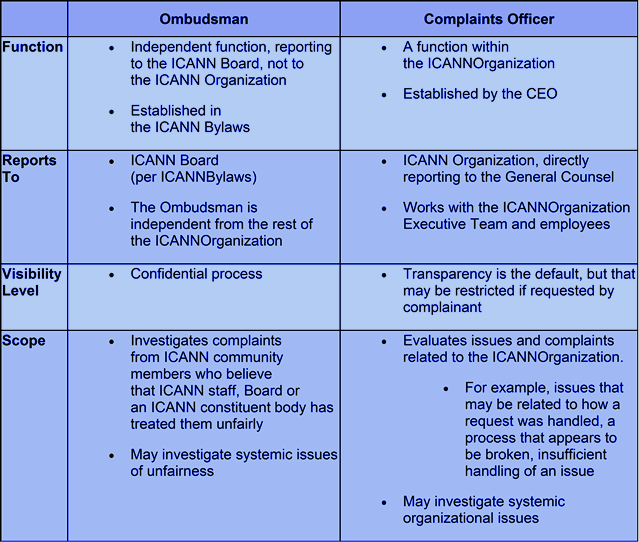 In the course of the chaotic back-and-forth I asked the ICANN Ombudsman and Complaints Officer "how many comments are being censored (rejected) by ICANN?" and never heard back. 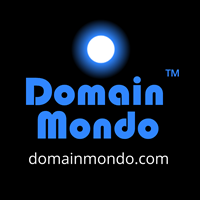 If your comment was rejected by ICANN, please let me know via Twitter @DomainMondo or via the email address at the bottom of the DomainMondo.com web page. 1) RPMs specifically designed, and applicable to new gTLDs, are not appropriate for legacy gTLDs .COM, .NET, and .ORG, and I commend ICANN for resisting pressure from trademark and other special interests who may urge otherwise. 2) Verisign is a capable and qualified registry operator to continue operating the .NET generic top-level domain. 1. The Section 7.2 ICANN fee of $0.75 per .NET domain name is discriminatory and unconscionable to .NET domain name registrants, and ICANN should reduce it to $0.25 (similar to other gTLDs). What may have been negotiated or appropriate in 2005, is no longer applicable 12 years later. ICANN should be ashamed for being so greedy and unfair to .NET registrants who are the ones bearing this cost. 2. The Section 7.3(a) provision for 10% compounded annual increases in .NET registration, renewal and transfer fees is unconscionable, particularly considering .NET has approximately 15 million domain name registrations, and the publicly reported profitability of Verisign, and its low cost of operations. It may be easy for ICANN staff to “roll over” and continue using the same boilerplate from previous renewals, but it has no justification based on reality—industry operating costs, market conditions, economic factors, and other relevant financial factors. This “formula” would lead to a doubling of registration fees every 7.2 years (Rule of 72). ICANN legal and GDD staff and management need a refresher course on good public stewardship and how to represent the global internet community in the global public interest. Compare the ccTLD pricing for ccTLD .US ($6.50) with only about 2.5 million domain name registrations. Approval of this proposed renewal with the $0.75 ICANN fee and 10% compounded annual increases in registration/renewal/transfer fees intact, will most likely cause renewed calls for government(s) to oversee ICANN, or replace ICANN with a new or existing intergovernmental multi-party or multistakeholder organization which can protect consumers (registrants), and the global public interest. 3. 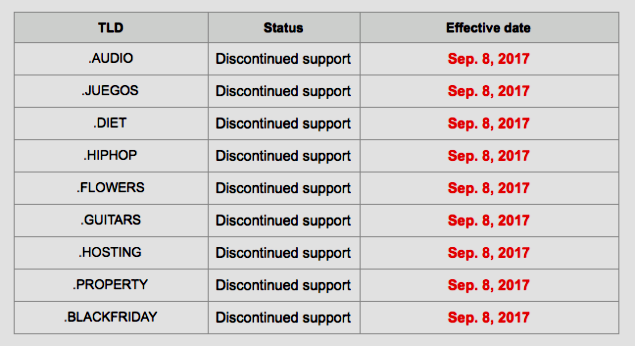 ICANN’s process for gTLD registry renewals is dysfunctional. Before beginning renewal “discussions” or negotiations with any registry operator, ICANN should first solicit comments from registrants, registrars, and other interested parties about the performance of the operator and suggestions for changes in the registry agreement. Only after that initial comment period has concluded should ICANN begin discussions with the registry operator. This is a simple change that will result in ICANN staff being much better informed and prepared to represent registrants, registrars, and the global internet community in renewal discussions with the registry operator. Video above published Apr 13, 2017: The internet is inaccessible to 60% of the world's population. Tim Berners-Lee, the web's inventor, has decided to change this. Director of the World Wide Web Consortium (W3C) w3.org, the place to agree on web standards. Founded webfoundation.org-- let the web serve humanity --Cape Town · London · D.C.
Video above published Apr 3, 2017 by WSJ.com: Ronco Brands ​infomercials for everything from the Veg-O-Matic to the Rotisserie Oven​ ​dominated late-night TV for decades​. ​Here's a look at what went into this singular art form. Features • 1) The WHOIS Way To Lose Domain Names, 2) a. 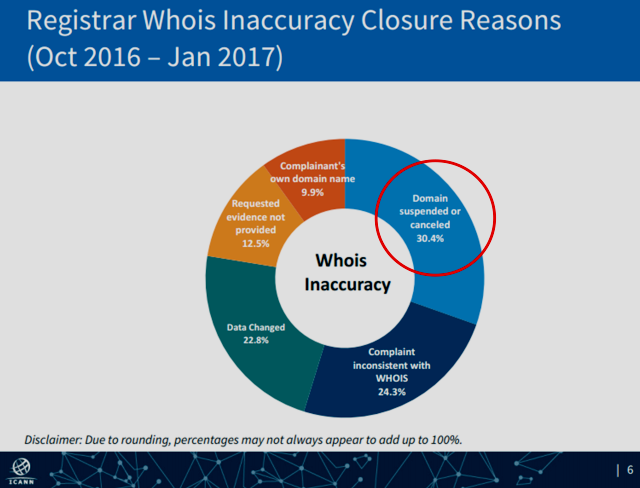 New gTLDs Lose Over 2 Million Domain Name Registrations In Just 6 Weeks, b. Neustar Loses Again, c. Tucows' OpenSRS Drops Nine Uniregistry new gTLDs, d. MMX and Web.com for sale? e) #INTA17 disaster, pity the lawyers, 3) ICANN News: Renewal of .NET Registry Agreement Comments Close May 30, 4) ICYMI, 5) Investing, 6) Most Popular. A decrease of more than 2 million new gTLD domain name registrations in just six weeks. At this rate (a net loss of -2.1 million registrations every 6 weeks), ICANN's new gTLDs will have a total of -0- domain name registrations by Fall, 2018. Neustar Reports Results for First Quarter 2017 | Neustar.biz: "NPAC Services contributed $128.3 million in revenue. Net income for the first quarter of 2017 totaled $45.4 million, or $0.80 per share." • How much does Neustar's NPAC Services business contribute to Neustar's bottom line (net income)? 100%? See SeekingAlpha.com. • When does that very profitable NPAC Services business end? Probably 2018. • "Neustar ended the quarter with cash and cash equivalents of $47.0 million and outstanding debt under its credit facilities and senior notes of $751.6 million ..."
Read more at: Uniregistry price increases | OpenSRS.com (emphasis added). New gTLDs registry operator Minds + Machines Group Limited: "following a number of informal approaches from external parties, the Board has appointed US investment banking firm, Headwaters MB, to review the various strategic options open to the Company to maximise value for shareholders." Registrar Web.com in talks with buyout firms -sources | Reuters.com. At 2 pm, #INTA17 will be discuss dotBrands and the latest round of #newgTLDs at @ICANN. Proposed Renewal of .NET Registry Agreement | ICANN.org: Comments close 30 May 2017 23:59 UTC. ICANN finally answered my questions (sort of). I plan on filing a comment and attaching ICANN's answers. Stay tuned! Pre-ICANN59 Policy Update Webinar | ICANN.org: The ICANN Policy Development Support Team will host a Policy Update Webinar on Thursday, 15 June 2017 at 10:00 and 19:00 UTC, in preparation for the upcoming ICANN59 Policy Forum in Johannesburg, South Africa. RSVP by 13 June 2017. You will receive remote participation details the week of 12 June 2017. More at the link above. ICANN Hires First Consumer Safeguards Director | ICANN.org: Bryan Schilling will be joining as the ICANN's first Consumer Safeguards Director, and will address illegal, infringing, and abusive activity impacting the DNS, reporting directly to Jamie Hedlund, SVP Contractual Compliance and Consumer Safeguards. Net Neutrality--FCC Notice of Proposed Rulemaking | fcc.gov: FCC Chairman Ajit Pai's proposal https://apps.fcc.gov/edocs_public/attachmatch/FCC-17-60A1.pdf would eliminate the FCC's legal authority to prevent internet service providers (ISPs) from blocking or throttling web content or creating "fast lanes" that websites can buy into. The 75-page proposal, "Restoring Internet Freedom," also asks the public to comment on whether rules are needed to ban those practices. How to comment: https://www.fcc.gov/consumers/guides/how-comment#comments. Easiest way to comment is via the EFF.org's https://dearfcc.org/. But also note: Net Neutrality Ideals Are Already Dead | Bloomberg.com: "Netflix and other rich companies pay internet service providers to connect directly into the providers' broadband plumbing. These "paid peering" fees are perfectly legal even under the stricter regulations the FCC is seeking to unravel." NSA Surveillance: U.S. Fourth Circuit decision allows Wikimedia's lawsuit against National Security Agency’s (NSA) mass interception of Americans’ international digital communications, to proceed.--TheHill.com. Internet Privacy: House Republican unveils internet privacy bill | TheHill.com: "Rep. Marsha Blackburn (R-Tenn.) introduced legislation on Friday that would force broadband providers and internet companies trying to collect and sell consumer’s digital data to first get their expressed consent." NATO says blocking Russian Internet websites in Ukraine is a matter of security, not freedom of speech | interfax.com. Bitcoin Blasts Through $2200, Here's Why | ZeroHedge.com and Bitcoin and Tech Stocks: A 21st Century Tulipmania? | Barrons.com: "Investors’ enthusiasm is reminiscent of the mania that struck the Dutch in the 1600s." Features • 1) Massive Tech Disruption Underway (videos), 2) WannaCry / WannaCrypt update, 3) NSA Surveillance, 4) FCC & Net Neutrality, 5) Top Smartphone Brands in China, 6) Potpourri: Amazon Global Stores Sales in China, 7) ICYMI Tech News. Video above published May 22, 2017: Kai-Fu Lee, Sinovation Ventures (sinovationventures.com) CEO, discusses investment opportunities in artificial intelligence (AI) with Bloomberg's Emily Chang on "Bloomberg Technology." "Google is in the lead." "In China, Baidu, Alibaba, and Tencent are doing well." Lee is focused on banking, insurance and investment, optimistic about autonomous vehicles as well as robotics. See also There are bots. Look around | ribbonfarm.com. Video above published May 22, 2017: Madhu Namburi, head of technology investment banking at JPMorgan Chase & Co., (jpmorganchase.com) discusses the role technology is playing across all industries as he sees "significant M&A" coming as companies play catch up on tech innovation. He speaks with Bloomberg's David Gura from the JPMorgan Media and Telecom conference in Boston on "Bloomberg Markets." Don't tell people to turn off Windows Update, just don't | troyhunt.com: "Those of us who've felt Windows Update-inflicted pain will all agree on this: Microsoft needs to make Windows Update better.--Editor's note: You think? French researchers find way to unlock WannaCry without ransom | Reuters.com. 3) NSA Surveillance: Barack Obama's team secretly disclosed years of illegal NSA searches spying on Americans | Circa.com: "The National Security Agency under former President Barack Obama routinely violated American privacy protections while scouring through overseas intercepts and failed to disclose the extent of the problems until the final days before Donald Trump was elected president last fall, according to once top-secret documents that chronicle some of the most serious constitutional abuses to date by the U.S. intelligence community." Editor's note: Remember when BO won the Nobel Peace Prize? 4) FCC & Net Neutrality--FCC Notice of Proposed Rulemaking | fcc.gov: FCC Chairman Ajit Pai's proposal https://apps.fcc.gov/edocs_public/attachmatch/FCC-17-60A1.pdf would eliminate the FCC's legal authority to prevent internet service providers (ISPs) from blocking or throttling web content or creating "fast lanes" that websites can buy into. The 75-page proposal, "Restoring Internet Freedom," also asks the public to comment on whether rules are needed to ban those practices. How to comment: https://www.fcc.gov/consumers/guides/how-comment#comments. Easiest way to comment is via the EFF.org's https://dearfcc.org/. 'Food revolution': megabrands turn to small start-ups for big ideas and Factbox: Food and drink makers' venture capital funds. Global chat platform Kik to launch digital currency "Kin". Video above published on May 24, 2017: Carson Block, managing member of Muddy Waters [domain: muddywatersresearch.com], explains why he will continue to wager against Hong Kong-listed companies and discusses his bearish views on China's economy. He speaks with Bloomberg.com's Erik Schatzker. Video above published May 24, 2017: John Bellows, portfolio manager at Western Asset Management (domain: westernasset.com) and Matt Maley, equity strategist at Miller Tabak (domain: millertabak.com), discuss Moody's (domain: moodys.com) decision to downgrade China's rating to A1 from Aa3 and change outlook to stable from negative. They speak with Bloomberg.com's Matt Miller on "Bloomberg Daybreak: Americas." Video above published May 24,2017, by France24.com. Hearing (video above) begins 14:04. Location: 2322 Rayburn, Washington, D.C.
Video above published Feb 21, 2017: UPS tested the use of drones for residential delivery for the first time in Tampa, Florida. The company demonstrated an octocopter launching from the roof of a hybrid electric delivery van, making a delivery, then returning to re-dock on the van which had moved to a new location further down the road. Witness Statement: "Unmanned Aerial Vehicle or “drone” based delivery is a game-changing commercial and consumer technology that is rapidly becoming technologically and economically feasible in the United States. Flirtey Inc. is a leading drone delivery service that has created many firsts in the use of this technology ..."
Witness Statement: "Thank you for inviting me today to share my thoughts on how new digital technologies can affect employment in business delivery services, and on how new digital technologies can affect the labor market more broadly ..."
Witness Statement: "... Postmates is described as a leader in on-demand delivery – we quite literally mean that through the tap of a button on your phone – the platform enables anyone to get anything from their neighborhoods, delivered to their doorsteps within minutes ..."
Witness Statement: "... My comments today will focus on unmanned aircraft systems, or UAS, which are increasingly being used by a range of American businesses ..."
How Secure Is the Swift Network? Video above published May 1, 2017, by WSJ.com: A series of recent cyberattacks targeting banks raises questions about the security of Swift, the global messaging network that is the backbone of payment services for more than 11,000 institutions worldwide, including banks and corporations. Video above published May 17, 2017 by FT.com: Federico Marchetti is the founder of YOOX and CEO of YOOX NET-A-PORTER Group. Marchetti: "When I started out in 1999, people would ask: how can you sell fashion on line? You can’t touch things, there’s no interaction, no luxury shop to visit. One headline about me read: “Are you crazy?” But when I sold my first item on line - it was a 88,000 Italian Lira Versace mini dress - I knew that I was at the beginning of what would be a long story. Now, 18 years later, we have just sold a €133,000 watch online. This is possible because I know my customer. There are three simple points about our approach to customers that make us different and stronger. 1. The luxury shopper in now online. What is important is to have quality customers. Only 2% of our customers represent 40% of our sales. We have customers that spend more than €1 million with us a year, who spend €, 35,000 on a dress and who buy 20 bespoke suits at a time. 2. Mobile is the new luxury shopping centre. We have registered upwards of €1bn sales on mobile phones out of €2bn of total sales. By 2020, most sales will be made on mobile phones. 3. Innovation needs to benefit the customer. To be successful you have to “be the customer” so that you can fully understand their needs." Features • 1) A Red Flag in ICANN Financial Disclosures? 2) Other ICANN news--New gTLDs a Legal Racket or Consumer Scam? 3) Names, Domains & Trademarks: .AFRICA, 4) ICYMI: Trump's NTIA Administrator, 5) Q1 2017 Earnings Season, 6) Most Popular. 1) A Red Flag in ICANN Financial Disclosures? Not reportable? Is Shinkuro Inc., also a contractor for ICANN? How much has Shinkuro been paid each fiscal year since Crocker joined the ICANN Board in 2008? "No part of the net earnings of the Corporation shall inure to the benefit of or be distributable to its directors, trustees, officers, or other private persons, except that the Corporation shall be authorized and empowered to pay reasonable compensation for services rendered and to make payments and distributions in furtherance of the purposes set forth in Article II hereof." --ICANN Articles of Incorporation 2. IV. d.
Is this setting a bad precedent for a corporation (ICANN) that claims to be transparent and accountable? What if every ICANN director decided to have their ICANN compensation paid to their personal corporation--would that also become unreportable? Is Shinkuro only being paid $75,000 (ICANN Chair's authorized compensation), something less, something more? ICANN needs to disclose. d. ICANN Registration System Email Validation | ICANN.org: "As part of an ongoing process to improve the security of our web applications, the ICANN Registration website will now require that all potential meeting participants verify their email address to complete the registration process ..."
e. CCWG-Accountability-WS2 Request to Chartering Organizations for an Extension of Its Work for All of FY18: ccwg-acct-ws2-chartering-org-fy18-extension-request-18may17-en.pdf (pdf) 18 May 2017. The U.S. Court of Appeals for the Ninth Circuit has issued its decision in Elliott v. Google, Inc., No. 15-15809 (9th Cir. May 16, 2017), affirming the District of Arizona’s ruling granting Google’s motion for summary judgment that its GOOGLE trademark is not subject to cancellation as generic. FCC Proposes Ending Utility-Style Regulation of the Internet | Federal Communications Commission | fcc.gov and How One Little Cable Company Exposed Telecom’s Achilles’ Heel | backchannel.com. Democrats are falling for fake news about Russia | Vox.com: "... a fake news bubble for liberals, something I’ve dubbed the Russiasphere. The mirror image of Breitbart and InfoWars on the right, it focuses nearly exclusively on real and imagined connections between Trump and Russia. The tone is breathless: full of unnamed intelligence sources, certainty that Trump will soon be imprisoned, and fever dream factual assertions that no reputable media outlet has managed to confirm ..."
• The Q1 2017 Earnings Season concluded this week on DomainMondo.com with Alibaba Group $BABA FY17 Results LIVE Webcast May 18. • GoDaddy Inc. (NYSE: GDDY) To Present At The 45th Annual JP Morgan Technology Media And Telecom Conference: Scott Wagner, Chief Operating Officer, and Ray Winborne, Chief Financial Officer, will present at the 45 [th] Annual J.P Morgan Technology, Media and Telecom Conference in Boston on Tuesday, May 23, 2017 at 3:00 p.m. EDT. A live audio webcast of the event will be available on GoDaddy's investor relations website at https://investors.godaddy.net. Following the presentation an audio replay will be available on the investor relations website. • Rightside Group, Ltd. (NASDAQ: NAME), announced that the Company's CEO, Taryn Naidu, and CFO, Tracy Knox, are scheduled to present at the 18th Annual B. Riley Co. Investor Conference at the Loews Santa Monica Beach Hotel, Santa Monica, CA on Wednesday, May 24, 2017 at 2:30 p.m. PDT. Rightside management will also be conducting one-on-one institutional investor meetings at the conference. The presentation will be available through a live audio webcast accessible from the Investors section of Rightside's website at investors.rightside.co. An archived replay of the webcast will also be available for 90 days following the live presentation. 6) Most popular post (# of pageviews Sun-Sat) this past week on DomainMondo.com: ICANN New gTLDs' Domain Name Registrations Implode | NR 2017-05-14. Features • 1) Amazon Echo's Free Calls and Messages (video), 2) WannaCry attack risks remain (video), 3) Apple's New Headquarters, 4) The Pot-Belly of Ignorance, 5) FCC, 6) Facebook's troubles, 7) ICYMI Tech News. Amazon Rolls Out Free Calls And Messages On All Echo Devices: Amazon recently rolled out a new feature where Alexa can make free calls and messages on all Echo devices. CNBC.com put it to the test in this video (May 11, 2017). See also Why Amazon is eating the world | TechCrunch.com. Video above published May 15, 2017, by FT.com: Current data show more than 1.3m computer systems are still vulnerable to the WannaCry ransomware campaign, which has already seriously affected hospitals, disrupted transport networks and immobilised businesses, according to cyber security analysts. See also 'Accidental hero' who halted cyber-attack is English blogger aged 22 | Technology | TheGuardian.com. Apple's new headquarters opened in April but it will take six months for 12,000 employees assigned to work there, to move in. 4) The Pot-Belly of Ignorance – Personal Growth | Medium.com: "Clickbait media is not a nutritious diet. Most people brush this off and say that it doesn’t matter … that it’s just harmless entertainment. But it’s not harmless at all. Worse, it’s like cocaine." 5) FCC: Sprint, Windstream Sue FCC Over Business Internet Deregulation | InsideSources.com and FCC moves ahead with plan to scrap net neutrality rules: FCC Proposes Ending Utility-Style Regulation of the Internet | Federal Communications Commission | fcc.gov and How One Little Cable Company Exposed Telecom’s Achilles’ Heel | backchannel.com. 6) Facebook's troubles: Facebook admits its 10th measurement mistake since September | marketingland.com and EU fines Facebook 110 million euros over WhatsApp deal | Reuters.com and Facebook fined 150,000 euros by French data watchdog | Reuters.com. Qualcomm Sues iPhone Manufacturers Over Royalties | WSJ.com: lawsuit against Foxconn, Wistron and others broadens Qualcomm’s legal battle with Apple. MIT TechnologyReview.com: This App Will Be a Game-Changer for Getting Birth Control without the ACA and Why I Left the Hospital System and Started Working in Telemedicine. Zhang participated in a January 17th panel discussion on the future of consumption at the World Economic Forum meeting. Alibaba Group Executive Chairman Jack Ma and Eric Jing, CEO of Alibaba-affiliated fintech company Ant Financial, also appeared at the annual Davos confab. During the future of consumption discussion, which included Wal-Mart CEO Doug McMillon and Heineken CEO Jean-Francois Boxmeer, panelists agreed that the consumer experience—and consumer products companies—will be reshaped during the “Fourth Industrial Revolution,” which is being driven by technological advances in fields such as artificial intelligence (AI), robotics, the Internet of Things (IoT), autonomous vehicles and 3D printing. Alibaba Group, the world’s largest e-commerce company, is already positioning itself not as an e-commerce platform “but as a data platform,” Zhang said. But even as the company urges retailers that sell in China through the company’s giant online marketplaces to join the Big Data revolution, Alibaba itself feels the pressure to adapt. Earlier this month, Alibaba Group offered to privatize Intime Retail, a top China department store and mall operator, a move the company said will help pave the way for the digital transformation of old-school retailing. “The biggest risk we have today for our sustainability is disruption, disruptive technology and disruptive business model,” Zhang said. A few years ago, the company was surprised by how fast smartphones and the mobile internet proliferated in China. “We invested a lot to construct our leading mobile commerce app,” Zhang said. “Today we are very proud to say we are the largest mobile commerce company in the world. But if you look back, the process was very tough, if we could not change fast, then we would be killed by this new technology. So today, I always ask my team one question: whats the next entry point of the internet?” Zhang said. “You can have a lot of answers but we have to change fast. If we don’t want to be killed by new technology, then we should kill ourselves using new technology. Note: Alibaba Group Holding Ltd (NYSE: BABA) announced March Quarter 2017 and full Fiscal Year 2017 results on May 18, 2017: Alibaba Group $BABA FY17 Results LIVE Webcast May 18 Replay. Video above published Jan 17, 2017: From a lotus farmer in a rural Chinese village to an apple farmer in the state of Washington, see how Alibaba has empowered entrepreneurs and improved lives.